One of the most impressive antelopes found in Africa is the sable. Because of habitat destruction and poaching, it is also one of the most endangered. Sable are named for the Russian word meaning black. 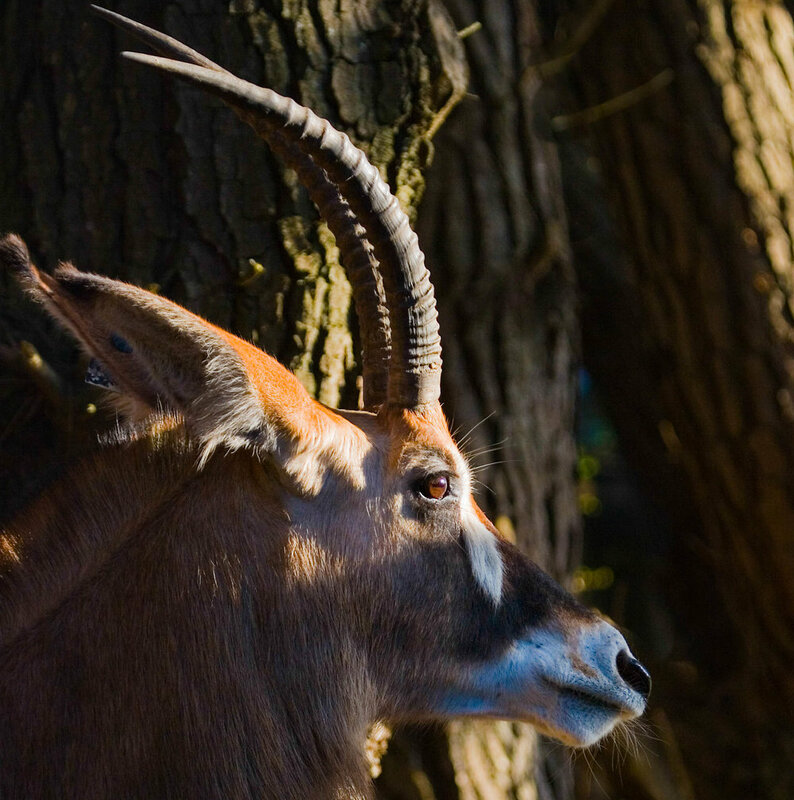 A rotund, barrel-chested antelope with a short neck and long face, it resembles the larger Roan antelope. Among its distinctive features are its long horns, some 40–65 inches long. The ringed horns rise vertically, then sweep backwards in a pronounced curve. 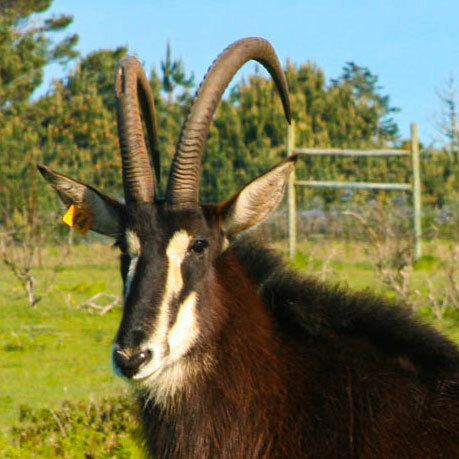 The horns are found in both sexes, but the male’s horns are slightly larger and heavier. Both have manes on the neck, resembling horses when they arch their necks and stand with their head high and tails outstretched. This position makes sable appear larger than they really are. The males maintain this position even when they gallop, as the arched neck is an important sign of dominance. As they age, sable change color. The calf is born grayish-brown, blending in with the grass. As they age, its coat becomes a rich reddish-brown, with the belly, haunches and facial markings in greater contrast. At this time the face is largely white, with a wide black stripe running from the forehead to the muzzle and black stripes from the eye to the muzzle. Once adult, the female’s color changes with age and status. Shoulders and mane become darker. Eventually, only the rump is red. The color change in the adult male is more dramatic — all parts that were red become black. After a 9 month gestation, single calves are usually born when the grass is high. The cow leaves the herd for the birth. Calves are reddish-brown in color and lie concealed for most of the day, only visited once or twice a day by their mother to suckle. The calves don’t have an odor, which helps protect them against predators. After a couple of weeks as the calf grows, the mother takes it back to the herd.